Razor offers a great variety of electric rides for kids and adults. You might prefer one scooter for your kids on the occasion of Xmas or Birthday. In this Razor e100 electric scooter review, you will find It to be featured with electric amenities as well as some handy manual characteristics. Pneumatic front wheel, manual rear brake (hand operated) and auto brake cut out, High torque chain-driven ultra-quiet motor ensure the safety and playful journey in the neighborhood. 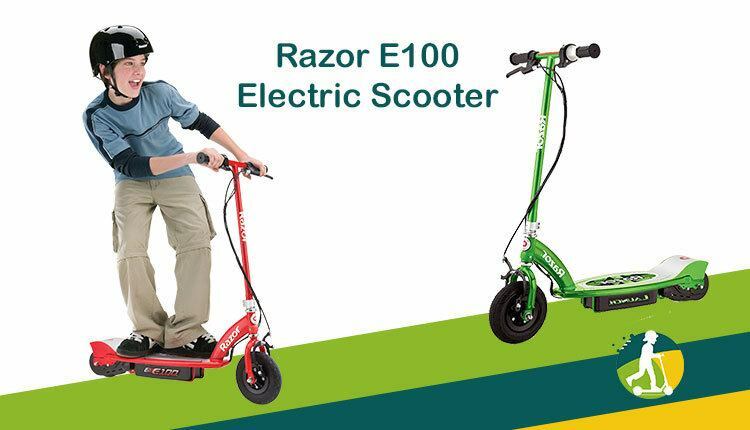 Razor e100 electric scooter has numerous features to boost your kid’s enjoyment. It is reviewed as a safer and stable ride from most of the customer’s reviews on Amazon. You might check the price to compare other brands and models. It is one the cheapest with the safest features in the market. But that would not be enough to make this electric scooter appealing until you give your kid a chance to ride it on. The ingenious design with stylish look signifies this one as the market champ as well as superlative choice for the kids. If you are planning a gift for your son or grandson I recommend you to go for it. Just click the Amazon link and feel free to claim your choice. Let’s have a look at the features it might be the optimum selection for any occasion. This section will describe the elaborate features of the Razor e100 electric scooter. If you want a clear view you can watch this video and enjoy the features added to it. It contains two 12V batteries sealed for protection. This lead acid rechargeable battery will allow the scooter to run up to 40 minutes. The high torque motor allows the speed limit for this Razor e100 is 10 miles per hour. It is pretty decent for an 8 years old kid to make his one day racing period. You might charge the battery unit for 12 hours to travel this far for 40 minutes. But if your kid demands more running time you may add optional power support and upgrade the battery units to increase the travel time for your kid. Razor e100 electric features a solid built pneumatic urethane front wheel with a load capacity of 120 pounds. This 8 inches diameter wheel has a coated plastic compartment to save it from decay and deformation. The sturdy and larger front wheel helps in case of bumps and rocks in the driveway. So it is obvious that you would feel secure about the durability of Razor e100. Your jubilant kid may travel roughly which can cause distortion. But the well-engineered head-wheel has enough resistance to make it tough. The rear wheels come with some extra feature added. The drifting and spinning capacity of rear casters demonstrates the genius engineering model and also covered more demands of customers. The kids are always adventuring prone and love to stunt for joy. 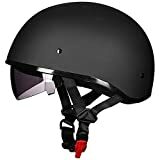 It will give them the feeling of a professional rider. The rear casters wheel renders these amenities to provide comfortable and near-professional drift, spin or flip. Razor e100 the high torque motor electric scooter has all kinds of stable construct added to it. The lower and smaller back wheels increase the safety and power up the stability. The speed limit is another important feature for a scooter. Every parents or guardian are concerned about the safety rather than speed. But the adventure-prone kids follow the speed to challenge the ability. This is what the manufacturer discovers to confirm the safety concern for guardians as well as the enjoyment for the kid. The speed limit is up to 10 miles per hour which is pretty decent for kids of this age group. So you can feel free to gift a Razor e100 electric scooter to your kid. Thigh torque, ultra-quiet chain driven motor provides the power to run at 10 mph speed. The kickstart capacity comes in handy whenever your kid needs to hurry. This is really a bone-chilling fun for kids. But the main concern is the controlling system of a scooter. It will ensure the safety of kids. The twist grip throttle in right hand and a handy rear brake in left will answer this demand of customers. The kid can control the scooter with one finger tap. This mechanism helps kids travel hassle-free. The left-hand brakes are an important one when your kid is in full speed in the driveway. They can control their scooter in a firm way using it. The body parts don’t get affected because of its speed and halt combination. Razor e100 electric scooter required assembling. It takes a little time to assemble. But the steering is really important for your kids. The scooter may be great on the dry surface. But in the wet and sloppy driveway, it might need some steering from kids. The brake system isn’t always safe if your kid doesn’t learn perfectly combine i9t to the speed of the scooter. Every product has some pros and cons and Razor e 100 electric scooter shares the same. Steel frame ensures the durability. High torque chain-dri9ven ultra-quiet motor. Single tap throttle in right-hand helps to start off instantly. Poly-urethane front and rear wheel. Sturdy and stronger front wheel. Rear casters are close enough to the land which increases safety. High powerful 8 inches pneumatic front wheel. 2 12V batteries included. 10 miles of the speed limit. Brakes are really great. But kids required steering lesson. Speed reduced in sloppy and wet down driveway. Short in travel time; only 40 minutes.Longer charging time: minimum 12 hours. The right cover of the chain sometimes prevents right hard turn. Why should I buy Razor e100? Ans: You can read the full above review. I have analyzed it part by part there. What is the weight capacity of Razor e100? Ans: the pneumatic sturdy front wheel of Razor e100 can contain up to 120lbs. Ans: The 2 12V batteries powered the scooter. These are sealed at the back. What is the speed limit of this scooter? Ans: The speed limit of this scooter is 10 miles per hour. How can I be sure if it is suitable for my kid? Ans: This scooter has been designed for the kid of 8 or 9 years of age group. Razor e100 electric scooter is the motorized transport that your kid also can use for commuting when and if necessary. Therefore, you can go for it considering this to be an adventure toy and a commuting transport for your kid. He even can take it to his school and can connect to the power source for the period he will keep busy with schooling. And the price is actually a steal and the features make up very well for the money.